Howdy, and welcome to this review of the PSE Night Hawk recurve bow. The Night Hawk is a gorgeous entry-level takedown constructed from a beechwood and exotic walnut riser with maple limbs laminated in clear fiberglass. 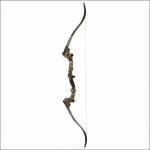 This 62-inch recurve has an adjustable brace height from 7-1/4 inches to 7-1/2 inches. Let’s take a look at PSE’s latest recurve and see how it performs on the range and in the field. Unfortunately, you won’t find a bow wrench or stringer in the box, so please make sure you buy these separately. Stringing a bow without a suitable aid is dangerous and leads to improper balance and poor accuracy. Is the Night Hawk Difficult To Assemble? This recurve is a takedown model, but it’s still mostly assembled when you receive it. You’ll need to attach the limbs to the riser using the included hardware, and then string your bow. Finally, you can install any accessories you might want to use to aid you in your shooting. Right after you string your bow for the first time is the best time to install any accessories you might want to use. After all, when you go about tuning your recurve, you want to have your add-ons already attached to the bow. The Night Hawk is ready for almost any accessory you might want to use, such as a sight, stabilizer, or plunger. Obviously, you don’t necessarily need any of these accessories to use your bow. However, many beginners find it easier to get started when they use a sight, stabilizer, or plunger to aid in their shooting. It’s up to you, but this particular recurve is ready for you to trick it out to your heart’s content. PSE has manufactured this bow for a wide variety of strengths, with draw weights ranging from 20 pounds all the way up to 50 pounds. If you aren’t sure what draw weight will be ideal for you, be sure to check out our advice on selecting the right draw weight. Accuracy is pretty good, and I was quickly able to lay out two-inch groupings from 40 yards. If you’re a younger archer, don’t expect that level of shooting right away, but know that the bow can handle it once you have developed your archery skills. Can I Hunt With the Night Hawk? This is a question I hear a lot, and I always have to say that it depends on you. If you opt for a 40# draw weight or higher, the Night Hawk is absolutely suitable for hunting small or medium game. On the other hand, if you need a lighter draw weight, your recurve might not be legal for hunting and will certainly not be powerful enough to guarantee a kill shot. Can Beginners Start Out With PSE’s Night Hawk? Since the recurve is available in easy-to-draw weights as low as 20#, youth and other beginners who can handle the 62” tip-to-tip length should be fine using the Night Hawk. 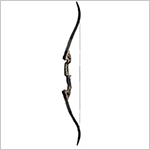 The bow is easy to use and very forgiving of poor stance and technique, and the adjustable brace height makes it easy to adapt to your particular height. Even better, the Night Hawk has almost no vibration or handshock, which is surprising considering the price point of the bow. This makes it even better for those just learning archery, since they don’t have to worry about getting hand fatigue after a short time at the range. Choosing your arrows is definitely a personal decision, and the Night Hawk doesn’t come with any to get you started. Telling you which arrows are going to be perfect for your particular needs is beyond the scope of this review, but you can check out our guide on arrow selection for some guidance in that arena. The limbs and riser are quite well made, with the beechwood and walnut riser and fiberglass-laminated maple limbs. You shouldn’t notice any flaws in the finish, and the whole assembly is rugged and built to last. I haven’t noticed so much as a hint of limb twist in the time I’ve had the Night Hawk, but I am also pretty stringent about taking down and unstringing my bow when I’m finished shooting it for the day. The limb tips on this recurve don’t appear to be reinforced, so I would not recommend using Fast Flight or Flemish twist strings with it. However, any other Dacron string of the proper length should work out just fine for you. 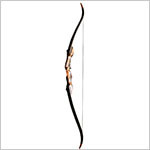 Bear in mind, this is an entry-level recurve bow and it isn’t designed for heavy-duty use. You shouldn’t be overburdened with the Night Hawk, since it is pretty lightweight at just 3.5 pounds. It is also short enough to be easy to handle and maneuver. I doubt PSE was thinking about keeping the Night Hawk quiet when they designed it, but it’s still not a very loud bow. There is little to no hand shock or vibration when you use it, making the recurve an absolute pleasure to shoot. Thanks for reading my review of the PSE Night Hawk. 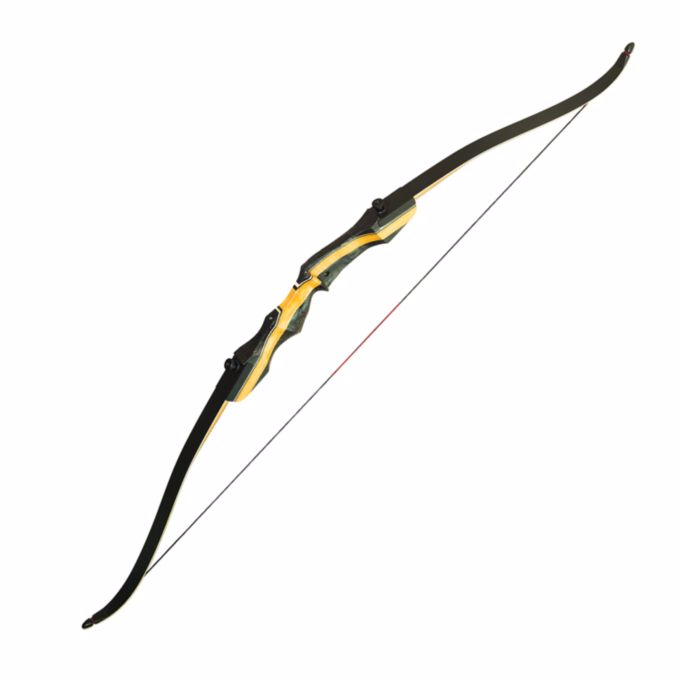 While it isn’t the perfect bow for everybody, this takedown recurve is an excellent choice for a beginning archer who wants ease on the archery range and in the hunting field. Take a look at current price on the PSE Night Hawk Recurve Bow Review if you’re interested in buying.